Mohammad Hashmi attended Prifysgol Caerdydd in Wales for PhD (Electronics Engineering), and Technische Universität Darmstadt in Germany for MS (Information and Communication Engineering). 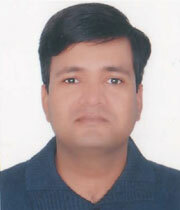 He is currently a faculty member of Electronics and Communications Engineering at IIIT Delhi, New Delhi, India. Earlier he held research and engineering positions at the University of Calgary in Canada, Cardiff University in the UK, Philips Technology Center in Nuremberg, and Thales Engineering Design Center in Berlin. He works in the broad area of Electronics System Design with particular emphasis on RF and Mixed Signal Electronics. His research has been funded by Nokia Networks, Focus Microwaves, and Agilent Technologies. He has authored or co-authored more than 60 peer reviewed journal and conference papers, 1 book, and 3 US Patents (2 pending). His major awards and achievements include DAAD-Siemens Scholarship, Nokia Doctoral Fellowship, UK Govt's Dorothy Hodgkin Award, Alberta Innovates Fellowship, third prize in the IEEE-MTT originality and creativity competition (2008), ARFTG Microwave Measurement Fellowship (2008), and Young Researcher Grant from INMMiC (2008).